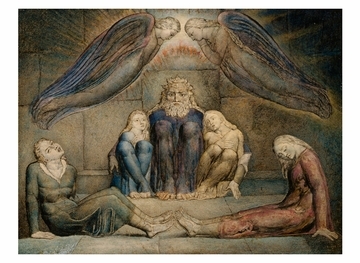 Now considered a seminal poet, painter, and engraver of the Romantic Age, William Blake (British, 1757–1827) achieved recognition as a poet during his lifetime but was not widely known as an artist. 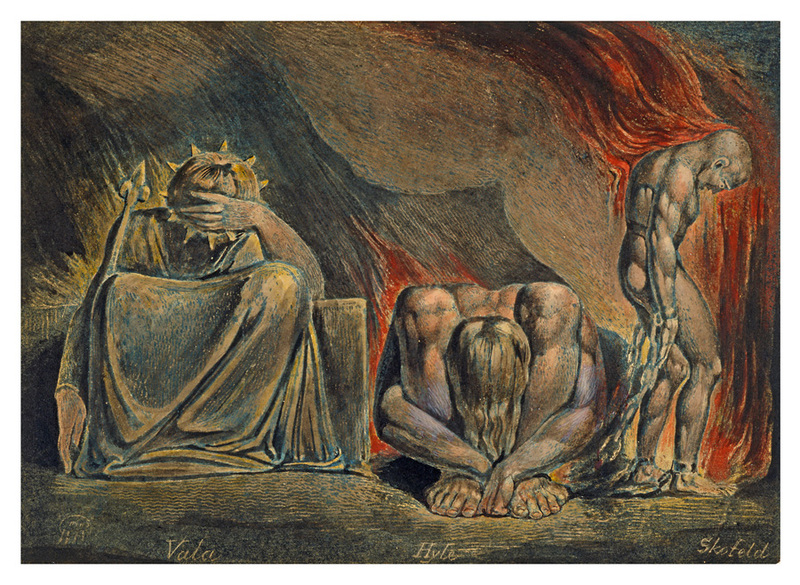 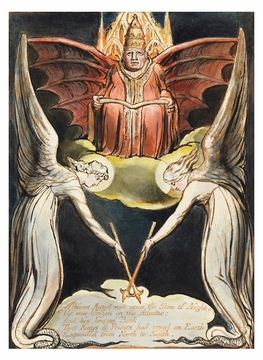 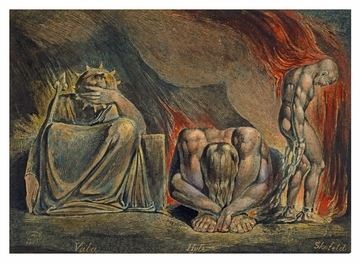 Despite having followed a rather conventional path to an art career (drawing school, apprenticeship to an engraver, and subsequent formal art study at the Royal Academy in London), Blake was an original thinker and an artistic innovator. 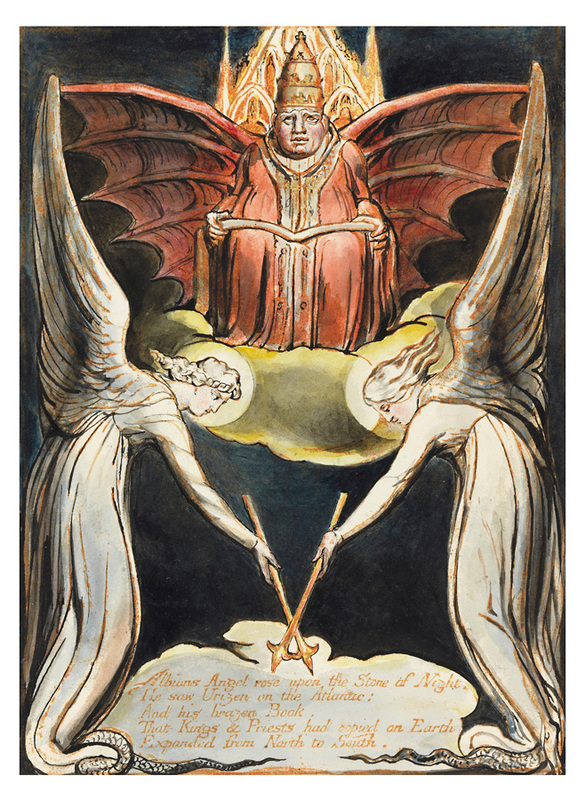 He invented relief etching (which he called illuminated printing), a process that allowed the integration and handcolouring of text and illustration within the same printed image. 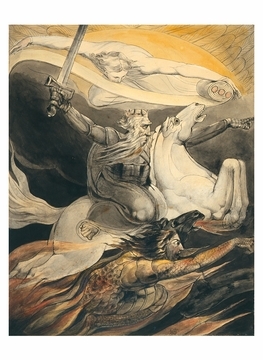 Using this new printing technique he self-published illuminated books of his poetry and art. A visionary since childhood—some would ultimately deem him mad—Blake was a man of strong opinions about life, religion, social justice, and politics. He was deeply interested in history and mythology, which, along with his often controversial beliefs, he personalized and channeled into poetry and art. 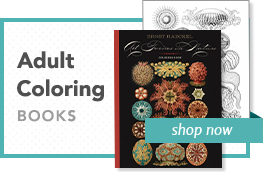 His dual significance to his era as both writer and artist, as well as his influence on future generations, continues to capture the attention of scholars and laypeople to this day. 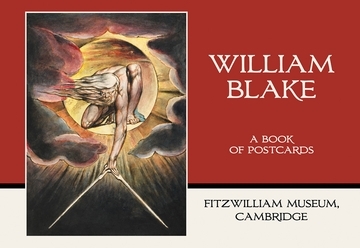 The thirty images presented in this book of postcards are in the collection of the Fitzwilliam Museum, University of Cambridge, which has an exceptionally rich collection of Blake material—including watercolours, drawings, prints, and illuminated books.